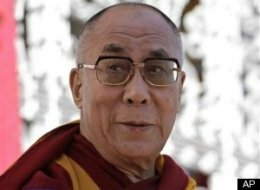 NEW DELHI  A leaked U.S. diplomatic cable says the Dalai Lama told American officials that the issue of Tibet’s political future should be temporarily shelved in favor of concerns over climate change. The cable sent from the U.S. Embassy in New Delhi last year says the exiled Tibetan spiritual leader appealed to the U.S. to reach out to China on climate issues in Tibet. The cable said the Dalai Lama, who seeks more autonomy for the Himalayan region, indicated that political talks with Beijing can be sidelined for five or 10 years but addressing the mountains’ melting glaciers, deforestation, and increasingly polluted water could not wait.